When I need a good laugh, my boys are always there for me. The Big Bang Theory, my show du jour, provides me with a much needed dose of humor after a long day at the office. Their onscreen bantering keeps me in stitches, and apparently these boys like to keep the party going off-screen as well. 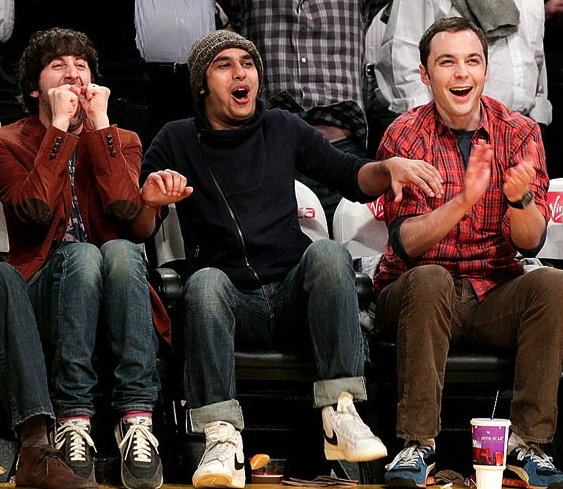 Simon Helberg, Kunal Nayyar and Jim Parsons took a break from filming to cheer on the Los Angeles Lakers. Do big belly laughs always come with front row seats?